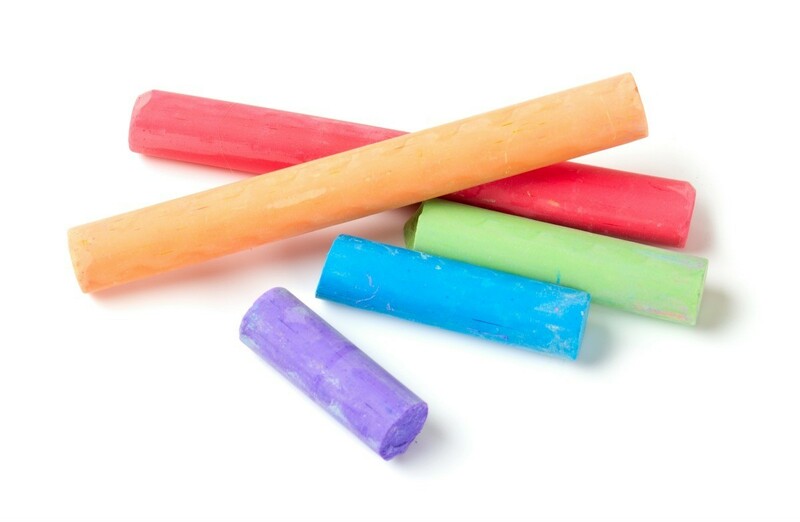 Regular chalk can be used to temporarily deter ants. A chalk line will discourage ants from crossing and can disrupt the scent line they follow back to food sources discovered by their scouts. They will seek or take advantage of a break in the line so it is not foolproof. This is a guide about using chalk to deter ants. I read the coolest thing recently. I tried it and it works! If you have a problem with ants around pet food, water, doors or window sills, all you have to have is chalk. Yes, it that easy. You draw a circle around the pet food or water and the ants will NOT cross over the circle of chalk. I told my friend and her daughter used sidewalk chalk around her windows and door. You can use it really anywhere you do not want ants to cross over. They can't tolerate what is in the chalk. Amazing! Try it: nontoxic, no fumes and easily replaced when you clean or during a summer rain. It works and the price is right. Source: Article on things you would never think of. Ants in your pet's food? Use chalkboard chalk to draw a circle around the dish. The ants won't cross the chalk. This actually works, I have tried it! If you have ants coming into your house, make a chalk line. They won't cross it, it sticks to their feet. I don't know what kind of ants you are talking about, but I tried it here and they all crossed the lines, no matter where they were. Good luck with it if you use it, I wish you better success than I had! LOL. Use chalk to outline the doorway and entry areas around your house where ants can get in and they won't go near it they don't like the feel of it on their feet! I've tried all kinds of white chalks, from the cheapest brand to the expensive school grade stuff. It doesn't work completely. If you leave a pile of chalk dust it'll work for a while but eventually they'll get through.